DEVELOPING STORY: (Updated 8:43 p.m. ET U.S.A.) The Press Democrat of Santa Rosa, Calif., is reporting that detectives in Napa County have linked the kidnapping and murder of 44-year-old Reynaldo Pacheco to the WCM777/Kingdom777 MLM scam and as many as four suspects. 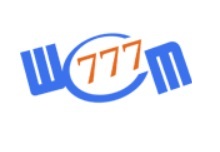 According to investigators, Pacheco had been involved in a business scam known as WCM777, or Kingdom 777. Early last year, the U.S. Securities and Exchange Commission announced it to be an illegal pyramid scheme targeting Asian and Latino communities worldwide. Assets were frozen. Pacheco apparently had gotten Arias to invest an undisclosed amount of money in Kingdom 777, according to detectives. Pacheco “owed her money from a failed business relationship,” [Napa County Sheriff’s Capt. Doug] Pike said. The other suspects, according to the newspaper, are Mauricio Tovar-Telles, 24, and Norberto Guerrero Gonzalez, 29. Both are in custody. A fourth suspect, Miguel Angel Garcia, reportedly shot and killed himself last year after a standoff with SWAT officers. Quick note: An individual on YouTube with the same name as the murder victim — Reynaldo Pacheco — was listed “1 year ago” as a subscriber to Phil Ming Xu’s YouTube channel. Xu was the head of WCM777, and was charged by the SEC last year. Bloody hell, Ming Xu has blood on his hands. Where is his religion now? I’m looking forward to see what we find out regarding the Tiger Liu lawsuit soon. The Court, having considered the motion (“Motion”) of Krista L.
claims against Proposed Defendants for recovery of funds transferred to them, directly or indirectly, from the Receivership Entities. 3. The Receiver shall file the complaint against the Proposed Defendants within 60 days of the entry of this Order.